Good morning everyone! I have some exciting news for all of my fellow Pinterest lovers! I have the honor and privilege of guest-pinning on Project Nursery's "Fisher Price Inspired Nursery Design Pin-It Party" tonight at 6PMPDT/9PMEDT along with a fantastic group of top designers, design enthusiasts and bloggers. I couldn't be more excited, as they are woman that I am creatively inspired by and follow daily. 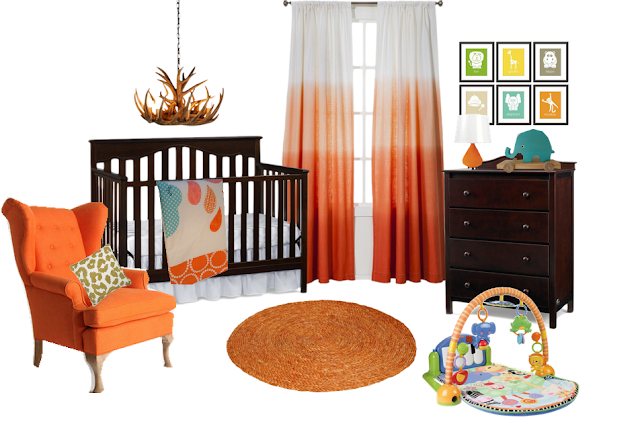 When it comes to nursery designs, we all know that the crib is usually the big focal point and the piece that we all tend to gravitate to. Well tonight we are spotlighting a collection of beautifully crafted convertible cribs by the wonderful Fisher Price! 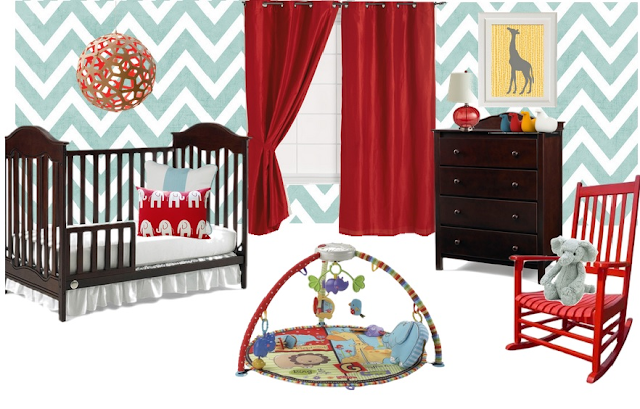 Here are a few designs that I put together in honor of tonight's Fisher's Price Inspired Nursery Design Pin-It Party! 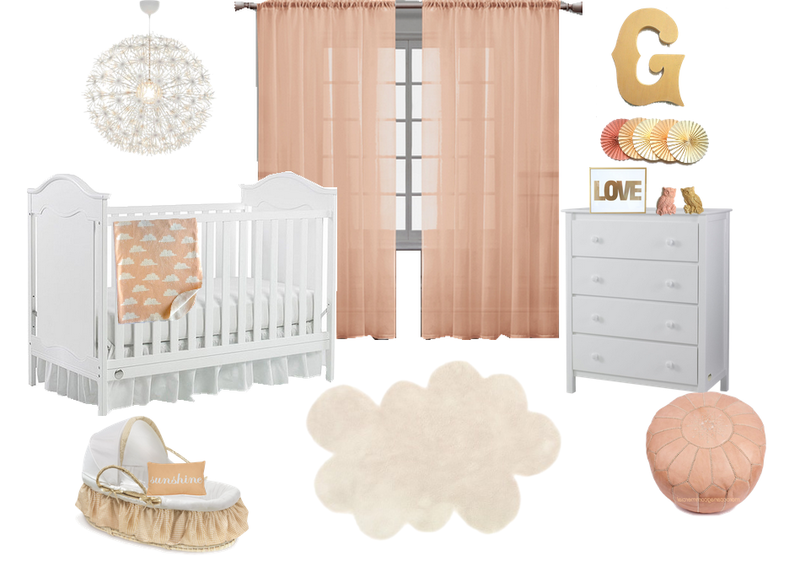 Please log on and cheer us on as we pin our Fisher Price Inspired Nursery Designs and all of the charming corresponding design elements. I hope to see you all there for my big nursery design debut! 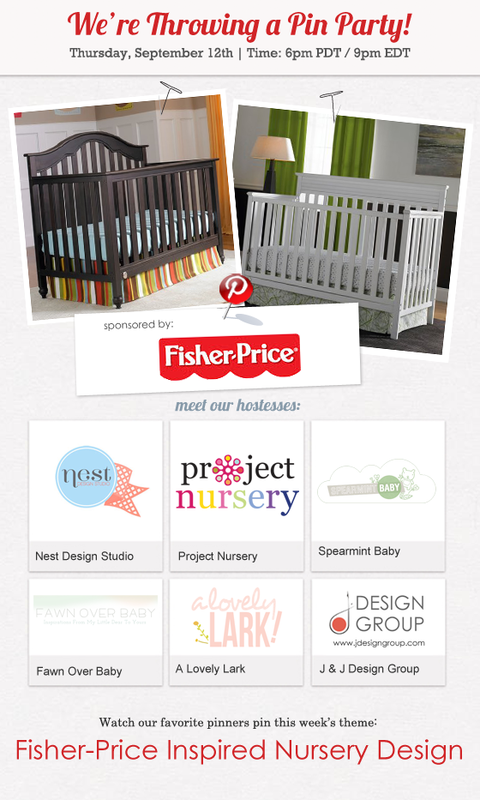 Stop by Project Nursery as they are hosting an awesome Fisher Price Convertible Crib Giveaway in celebration of tonight's pinning soiree! Happy Entering and Good Luck!! that is so exciting and awesome that you are part of this! heading over to pinterest now to check it out! Yey! Thank you for the Pinning support! You're the sweetest! !